When you look at something, just see it as it is without projecting any preconception onto it, indeed, without thinking anything. Let that original perception be the start of your meditation and center yourself on the stillness within. After a short pause, your mind will automatically project a concept of what it is that you are seeing, a “now” concept, not a preconception held onto from past experience. But whatever the concept, don’t identify with it, don’t hold onto it or possess (desire) it as an end in itself, as a reality. For whatever is outside you–and that includes your personal thoughts, feelings and experiences–remain at best, extensions of you, but is not you. You are the center of intelligence (being), not what you see or experience. It’s like standing in front of a mirror, what you observe is only a reflection in the mirror, the real you is the pure intelligence (spirit) that observes. And as the ultimate mirror is the mind, your personal thoughts, feelings and experiences, as well as all images and forms, are only reflections (extensions) in the mind–and the physical universe but a shadow world. And yet, by dropping any attachment to these images, forms and concepts (reflections), that is, not identifying with them, they can become a means of meditation through which you may return to the Source within you, which is the real You, our innermost Being and pure Awareness in itself, or that which Is, whose Center is everywhere nonliterally speaking, and nowhere literally speaking. Such is living meditation. Now, by living an attitude of nonattachment and holy indifference, you remain free to engage life’s activities, or free not to, without feeling separated from the Whole (One) Consciousness that we are. 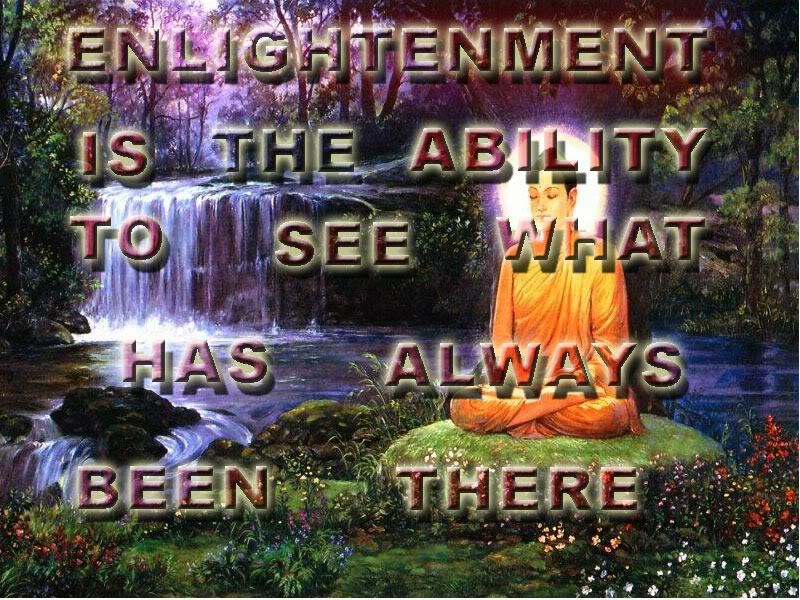 And, at times, since you are no longer interfering with the open, most natural, spiritual Flow of Energy-Consciousness, our inmost Being may reveal to you from within–and through the material (means) outside–living insights into our true self, which is Selfless, into our true form, which is Formless. You will be living the Unity behind the seeming duality of life, the Spirit behind the seeming material of life, the Nonliteral Perspective behind the seeming literal perspective (ego) of life. You will Be One with God, the real You (Totality of Being). Such is living meditation. « Who And What Am I?